Take our FREE online energy saving analysis. Improper venting will kill your dryer, we see it happen a lot. Dryer vent cleaning will improve the air quality in your home. 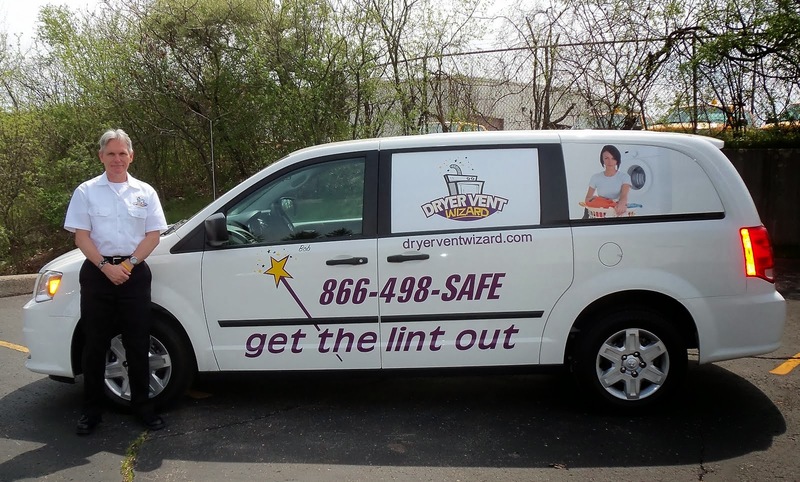 Spring and Fall are ideal times to schedule a dryer vent cleaning. 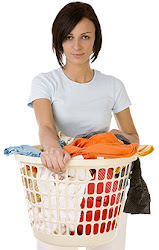 There are many things that contribute to the proper operation of a clothes dryer. The venting is perhaps the most critical. Below we describe a dryer's functions and how its venting plays a part. 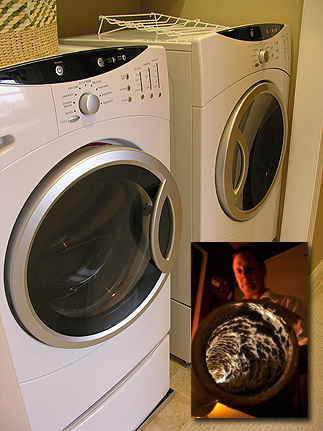 The heat is another important function of a dryer. Many current dryer models have a 'one-time', non-resettable, thermal fuse or safety. These safety devices will open should the dryer's vent not be installed properly, or if it becomes restricted. Once this happens, the dryer will no longer heat and will require the part to be replaced to correct the condition. On some dryer designs (usually gas) failure of one of these thermal fuses will totally stop the dryer operation altogether.